Runderwear is a company which specialises in making seamless, comfortable and anti-chafe underwear. These products are all made of a special, moisture wicking fabric ensuring that you remain dry and comfortable whilst running. Given the name, Runderwear obviously specialise in underwear products – both pants and socks (for this review I am going to be focussing on the Runderwear Men’s Brief). With this small, specialist product line, Runderwear have been able to focus and create excellent products for this niche running underwear market. 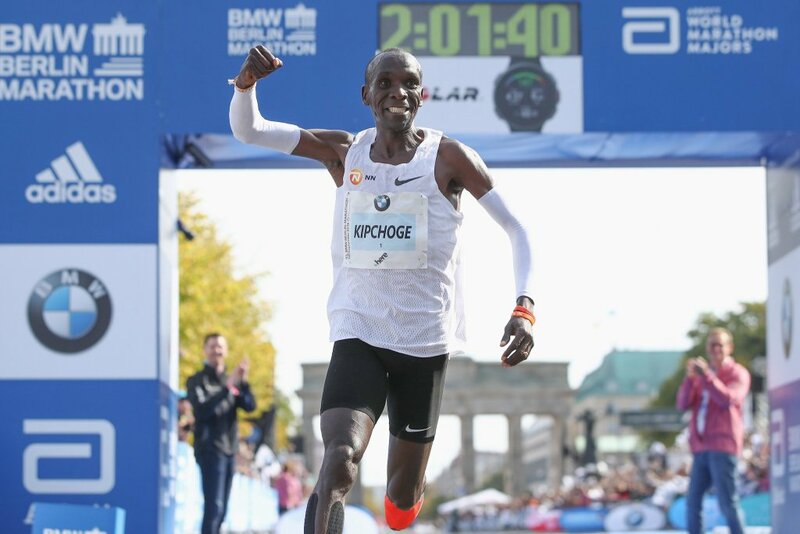 When running, a situation often occurs where the clothing which you are wearing becomes uncomfortable and starts rubbing against the skin due to the repetitive nature of running – especially on the longer distances of the marathon. As a result, this chafing becomes sore and uncomfortable to continue running over long periods of time. This mostly occurs with everyday underwear beneath shorts when running and Runderwear offer their solution via their various men’s and women’s underwear options. This solution from Runderwear is one which aims to reduce any irritation mainly due to the fact that the underwear is of a seamless design creating a chafe free experience. This has previously been attempted by sportswear brands who have implemented their own inbuilt underwear into shorts. However, this has always been a fairly average solution which still creates irritations due to the one size fits all, loose, seamed design. With Runderwear, it bridges the gap between normal underwear and inbuilt underwear, allowing you to have specific underwear which is suited just right for running and sporting activities. On the Men’s underwear side of things, Runderwear offer either a Men’s Brief or a Men’s Boxer. For this review I was provided with a small Men’s Brief by Runderwear. For the sizing, Runderwear provide a Size Chart for both men and women which applies the same for all of their underwear products. All that comes in the cleanly packaged box is a single pair of Runderwear Men’s Briefs and then you are good to go running. Upon my first try on with the Men’s Brief from Runderwear, I found that they gave a very accurate fit and one which is not too invasive, hugging the body. As a result of this I actually quickly forgot that I was wearing them at all. Due to the lack of seams, they don’t catch on shorts which you wear over the top and never started rubbing at any point. Personally I wear 30” waist clothing and the small which I wore fitted perfectly. You don’t want a pair of underwear which are either too tight or too big that they are constantly rolling up, therefore the stretchy, breathable fabric gives great results sizing wise and even if a bit small, they don’t come across too tight as they stretch to fit comfortably. But it is mainly down to personal preference to whether you prefer a tighter or looser fit. For me I found that despite a small fitted well, I feel a looser medium may have been preferred. The only slight issue that I found was when wearing the underwear with shorts with other inbuilt underwear. Here, the underwear of the shorts would pull on the Runderwear Men’s Brief and would cause them to ride up causing them to be uncomfortable. However this is a problem of my own making rather than a fault of the Runderwear itself and therefore would recommend that the Runderwear Men’s Brief works best when worn with shorts without inbuilt underwear or with half tight shorts. The thing which the Runderwear brand prides itself upon is the 360 degree seamless technology. This means that there are no annoying seams which constantly dig in, giving a fully clean fit all over. I wore the Runderwear Men’s Brief for a 10 mile muddy, hilly and windy run which would inevitably cause a lot of movement of the underwear, however with the Runderwear Men’s Brief there was none at all, keeping me comfortable throughout. I have also worn these underwear for multiple runs and even races (my local Parkrun in St Albans) and not once has there been any chafing – only once or twice have they ridden up due to the shorts that I was wearing over the top. As well as being comfortable and chafe-free, the Runderwear Men’s Brief is also made of a very soft, breathable synthetic fabric. This works great in warm conditions as the micro-perforations (a series of very small holes within the fabric) allow the material to be very breathable keeping you cool whilst also dry. This was a surprise to me as normally the shorts and shirt are left heavy with sweat after running, however in this case, the moisture wicking fabric of the Runderwear Men’s Brief allows sweat to be taken away from the body and evaporated, keeping you dry. This meant that I found the Runderwear Men’s Brief was the driest piece of clothing after each run. 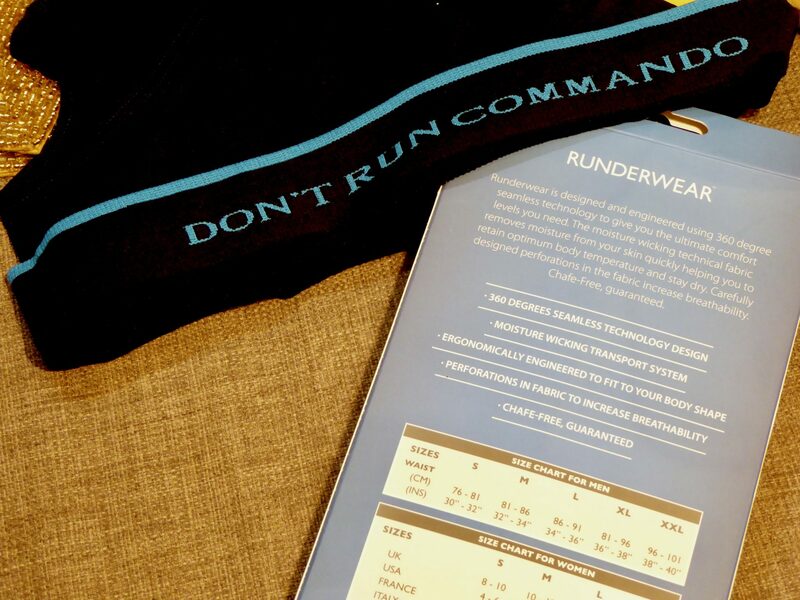 Having had the opportunity of testing out the Runderwear Men’s Brief over the last couple of weeks has made me appreciate the comfort which they provide over conventional underwear or those provided within running shorts already. It is only when I have gone back to these other alternatives when my Runderwear Men’s Brief has been in the wash that I really realised the benefits of the chafe-free, moisture wicking properties the Runderwear products offer. When wearing Runderwear you really do forget they are there and this has resulted in these Runderwear Men’s Brief being my absolute go to underwear when running. A final quick note on the price is again a positive one. 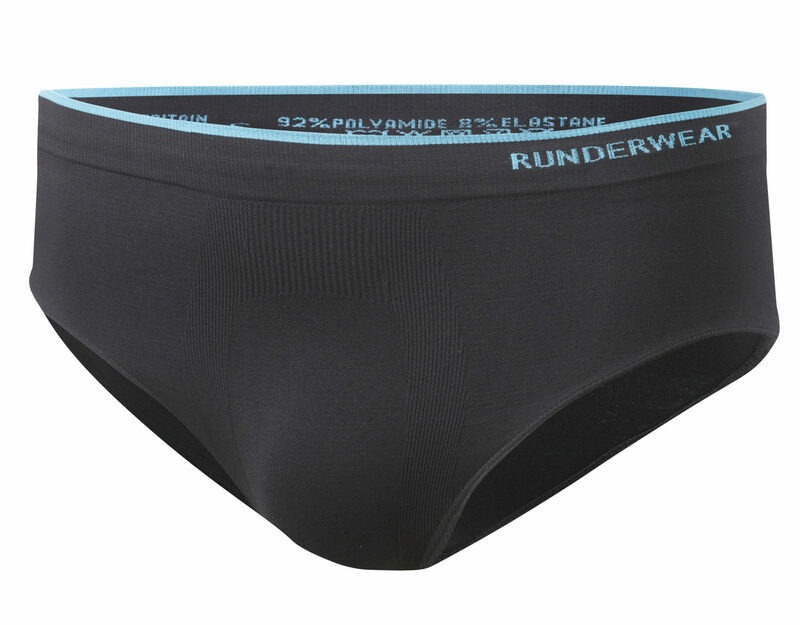 Given these are a specialist niche product to meet the needs of runners worldwide, the Runderwear Men’s Brief comes in at £16.00 ($19.64) which is very competitive and a reasonable price for the quality of the product. With my only slight criticism being that they have ridden up on a few occasions, there are multiples positives which outweigh this and mean that I would certainly recommend this product to all runners, with Runderwear making the experience of running a much more enjoyable and comfortable one. Thank you for reading and I hope this review has been helpful!